As a parent, it is important to trust your instincts. I am chatting homeschooling, gifted kids, and trusting your gut in this episode with Cindy West. Hey guys! Can you believe it is February? Aack. The school year is more than halfway over, so, let’s be sure we stay on task dear mommas. This is the season of burnout for many, so, be sure if you are facing burn out and overwhelm right now be sure to go back and listen to last weeks episode all about burn out. In this weeks episode, I am chatting with Cindy West of Our Journey Westward. Cindy West has a passion for helping parents find joy and peace in homeschooling. For almost 12 years, she’s shared creative strategies to make that happen on her blog, Our Journey Westward. Currently, Cindy is homeschooling only one and relishing every single day now that she realizes how fast time flew by with her first two children. She can’t wait to hear how you’re finding joy and peace in your homeschool. You can connect with her @OurJourneyWestward on Instagram or Facebook. We chat about confidence in homeschooling, gifted kids, special needs, and so much more. Cindy is so full of wisdom and after 18 years of homeschooling, we can all learn a lot from her. So, without further ado, here is my interview with Cindy. Be sure to listen to the whole episode. This is just a small snippet of our conversation. Cindy chats about learning to do things differently coming from teaching in the public school system. Also, to trust her gut. We chat about ADHD kiddos, diagnosing, child psychology, gifted kids and so much more. Each child has provided their own struggles and helped her overcome her fear of doing things differently than what she learned in college. You’ll love what she has to say about brain training! 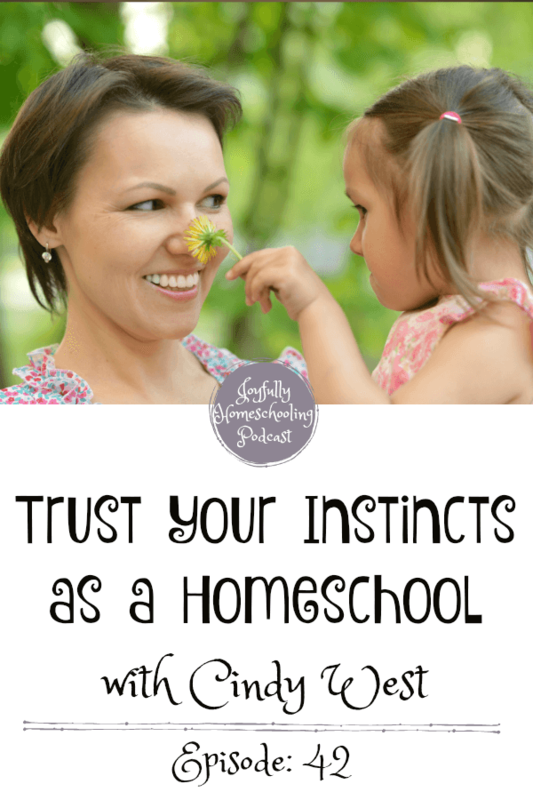 Learning to trust myself, trust my instincts, and continuing my education as a homeschool mom so I can truly know how to help and educate my kids. To trust your gut, we elaborate on this a bit, be sure to listen! Cindy shares how they change things up a lot to defeat boredom. They take lots of field trips, co-ops, literature, clubs and more. She also really enjoys introducing her kids to teachers other than herself. So, what did you all think? I have a few big takeaways from this episode. 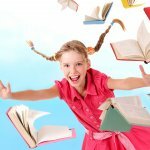 The first is that we have implemented a few of the suggestions regarding ADHD kiddos since the episode recorded and they have been a huge help. The midline exercises and some trivia during morning time have been our favorites. I also really appreciated Cindy’s encouragement to trust our gut. The older I get the more I am recognizing that God gives us instincts. Particularly when we homeschool, we are truly students of our children, We know them better than anyone, what does that mean? That we know what they need. So, why do we question ourselves so much? We need to trust ourselves, and that God gave us our kids because we are the ones best suited to parent them. We’ve got this! 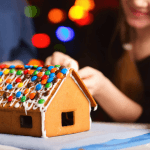 That’s it for this episode of the Joyfully Homeschooling podcast, I am sharing some links to a few of the resources mentioned in this episode in the show notes. Be sure to check them out. You can also grab your own coffee mug at Joy in the Journey store.net Until next time, head out there and have a more joyful homeschool. Just Because You Can Days are a homeschool perk!